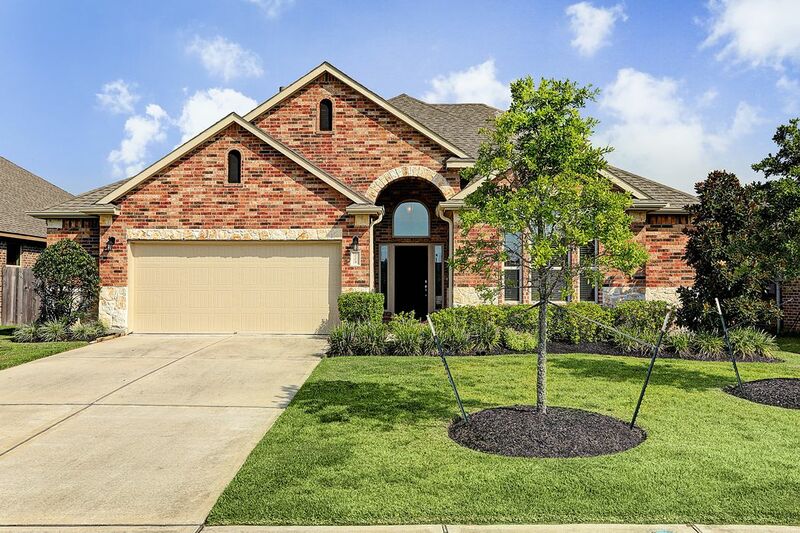 554 Southampton Lane, League City, TX 77573 | Martha Turner Sotheby's International Realty, Inc.
Take a look inside this dazzling 1.5 story home complete with a beautiful brick & stone exterior, and perfectly manicured front lawn. 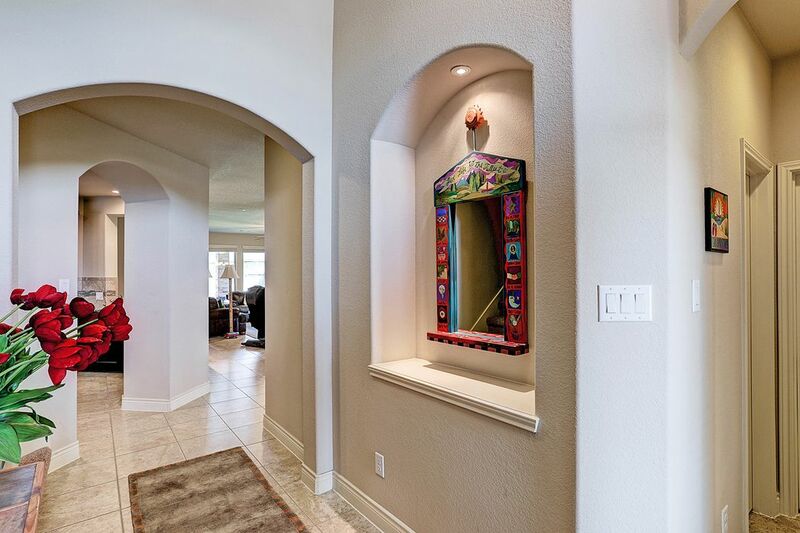 The foyer is sure to amaze as you enter the home and are greeted by the arched hallways, and built in art niche. The gorgeous open concept kitchen which is open to the living room with recessed lighting, and plenty of serving space for entertaining. 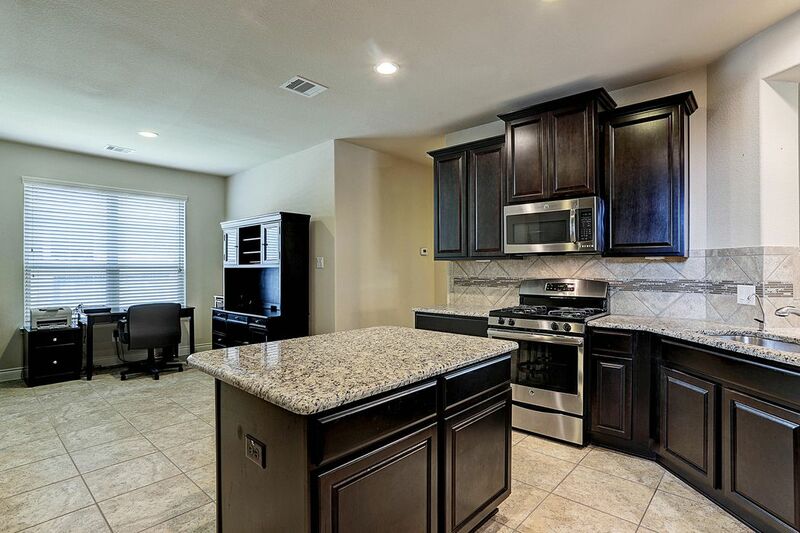 The kitchen is complete with beautiful granite countertops, stainless steel appliances, and ample cabinet space. 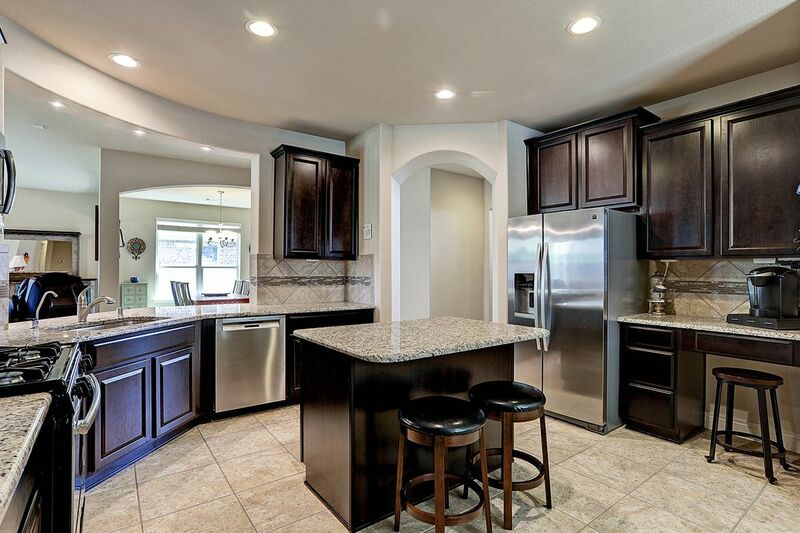 Another view of this impressive kitchen, with an upgraded Bosch dishwasher, and custom built-in desk area which could also serve as the perfect place for a coffee bar. 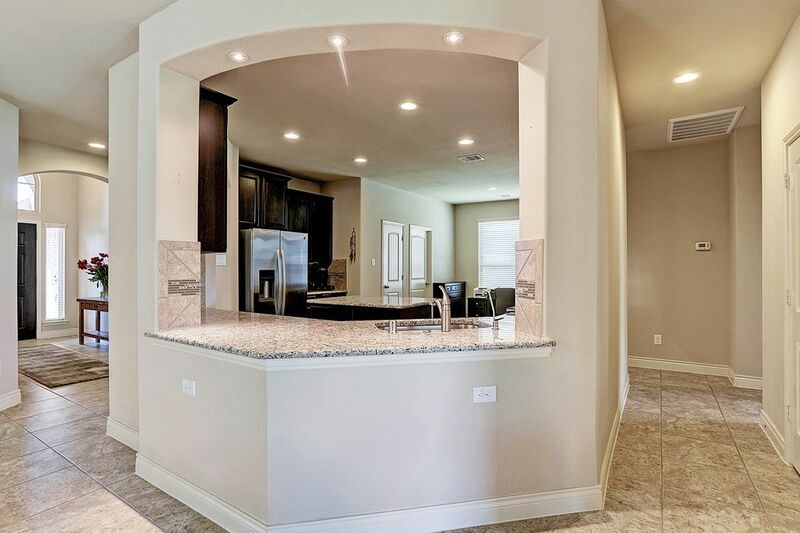 One more view of the spacious kitchen and breakfast nook area. 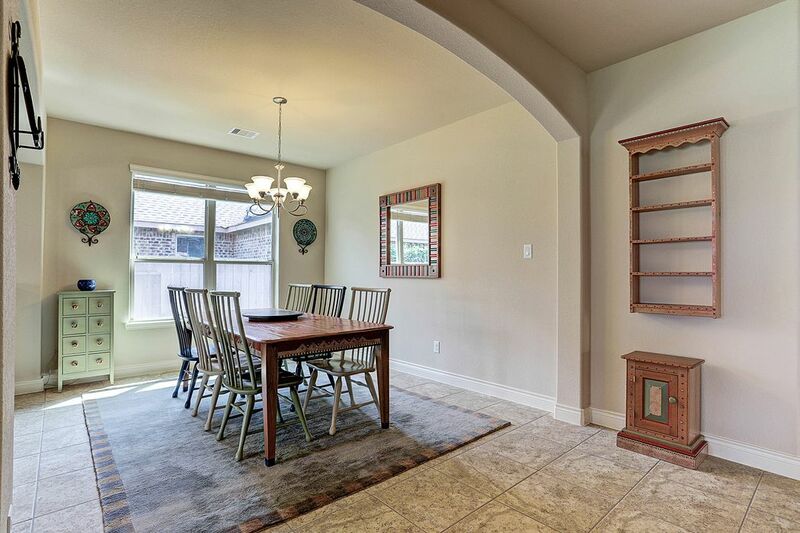 The breakfast nook area with beautiful tile floors and large window for lots of natural sunlight. 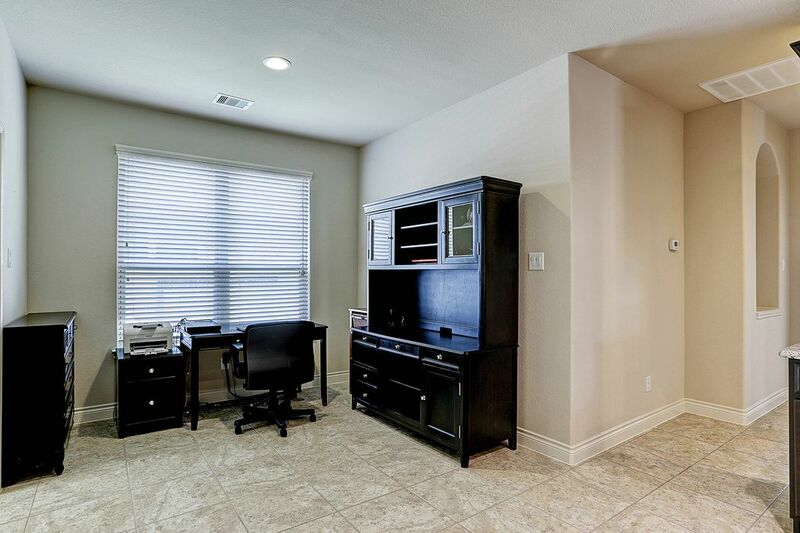 This area could also serve as a study area, or even a play room area for the kids. The formal dining room, which is located off of the kitchen area, is complete with a large beautiful arched entry and ample natural light. A look at the kitchen, dining room, and living room which all flow seamlessly together. 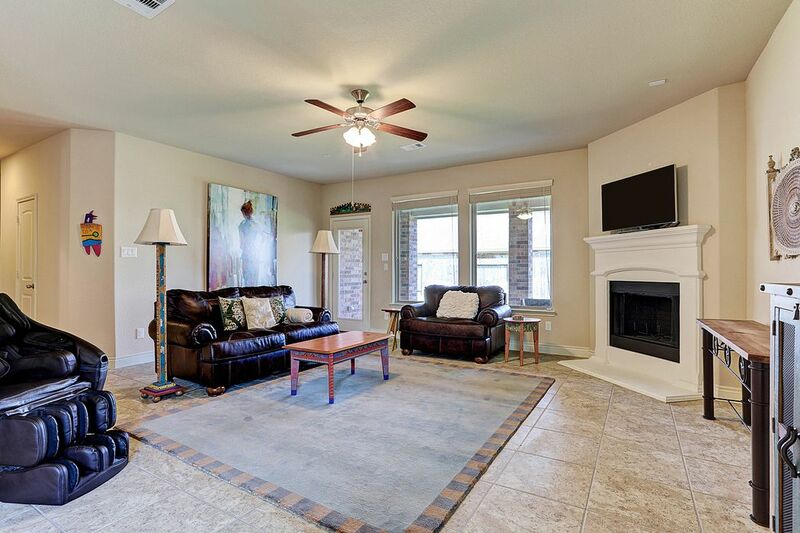 The spacious living room is the perfect place to entertain, or even to curl up with a good book by the cozy fireplace. 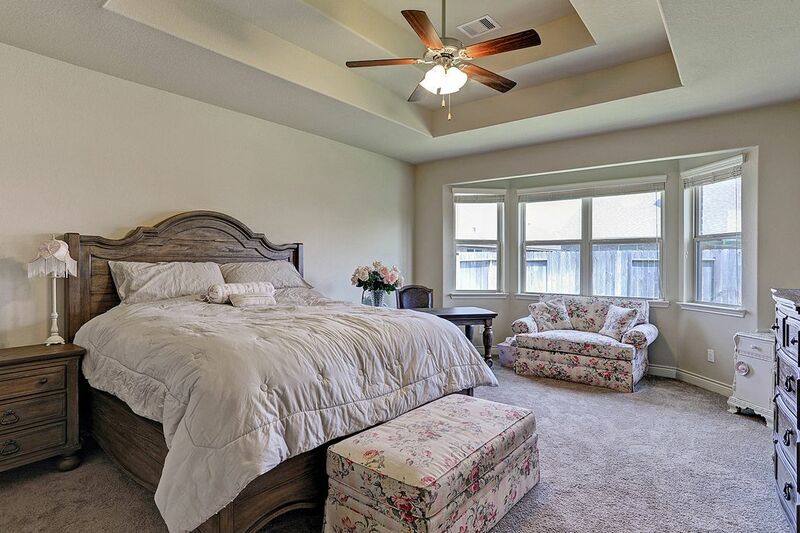 Relax and unwind in this dreamy master suite where you can enjoy the gorgeous wall of widows and soaring tray ceilings. 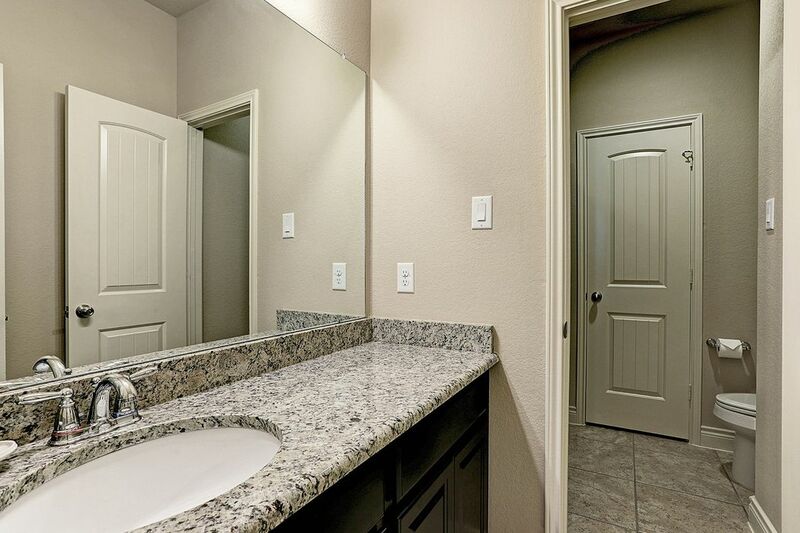 The master bath with double sinks, a large vanity, and separate shower & oversized bath tub will make getting ready a breeze! 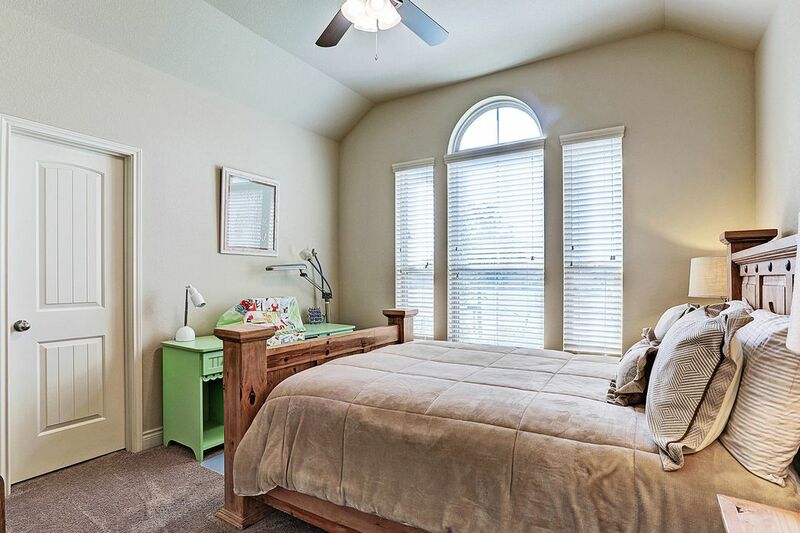 Downstairs secondary bedroom with high ceilings, walk-in closet, and gorgeous windows. Another downstairs secondary bedroom with walk-in closet. 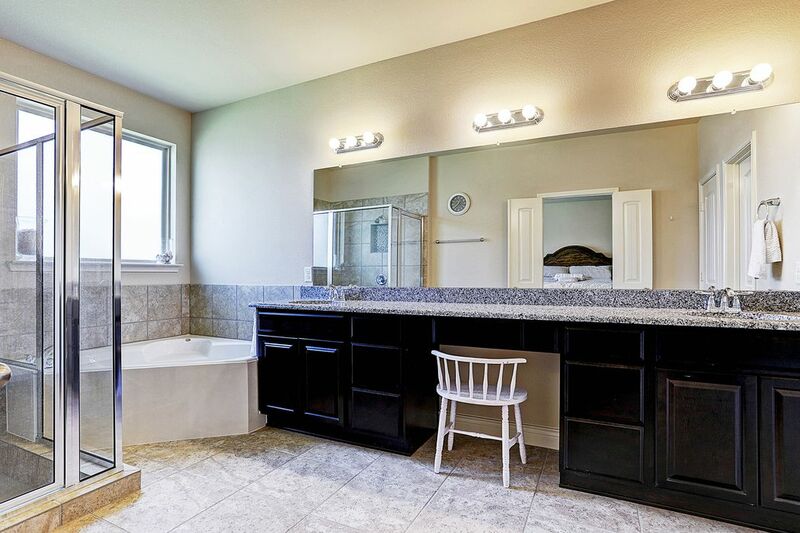 Downstairs secondary Hollywood bath with gorgeous granite countertops, and plenty of storage space. 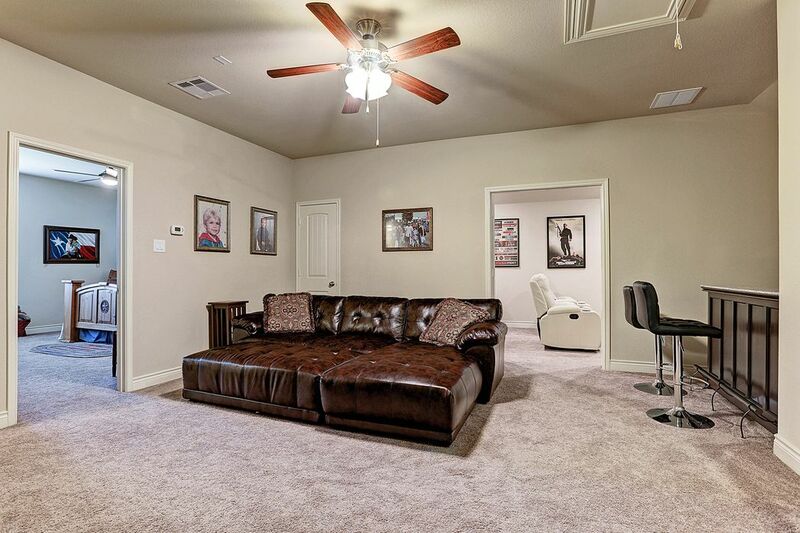 The upstairs game room is spacious and connects to the media room. 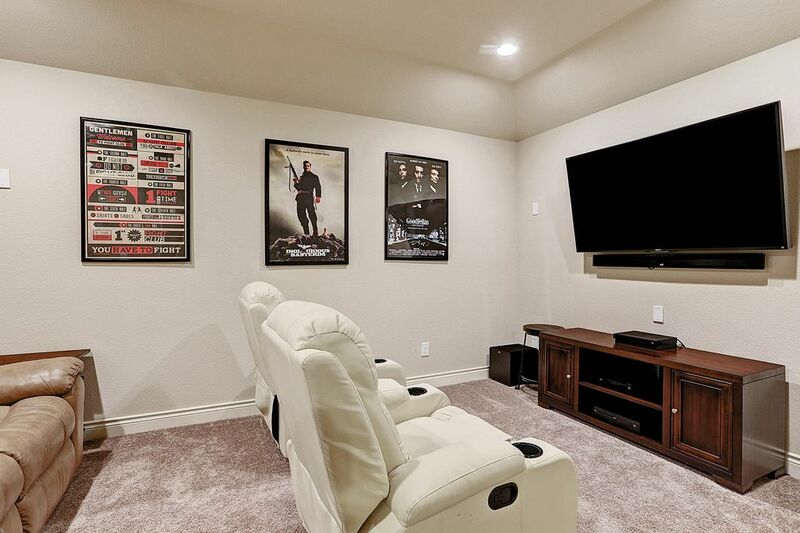 The second story is also home to the media room, which is the ideal spot to enjoy a fun movie night with family and friends! 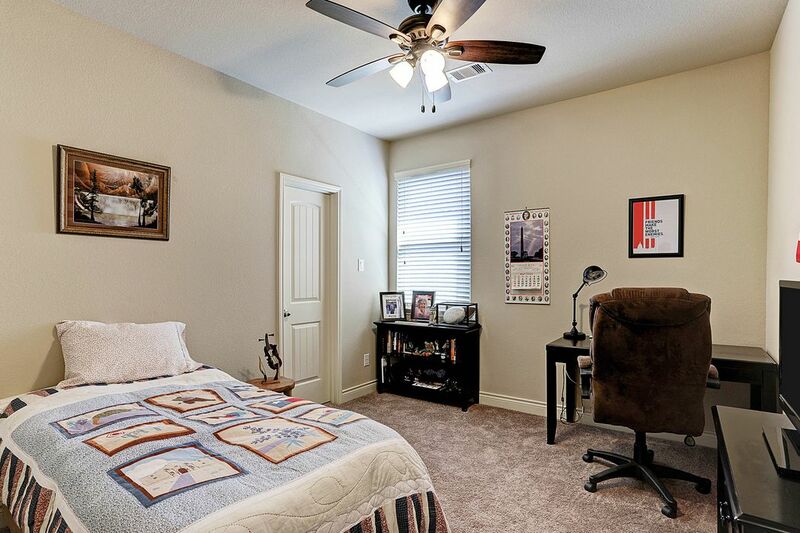 Spacious secondary bedroom with tall ceilings. 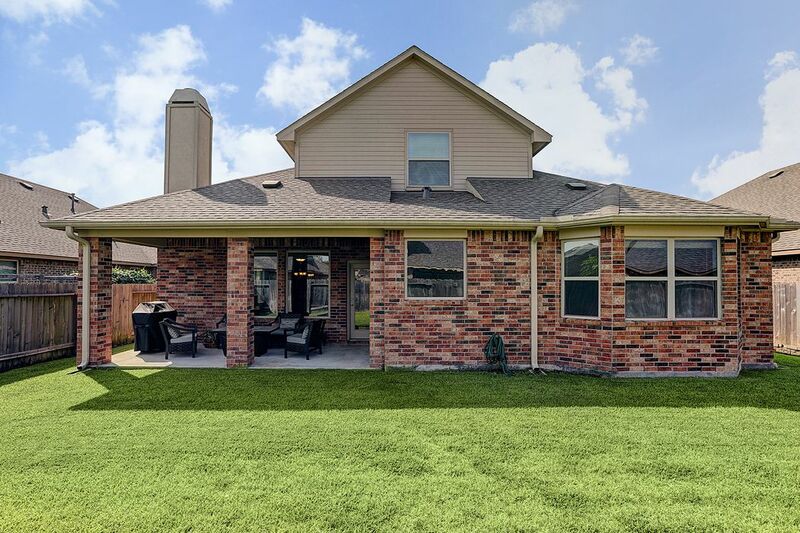 Enjoy a Texas sunset from the comfort of your covered back patio! A view from the back of this impressive property. 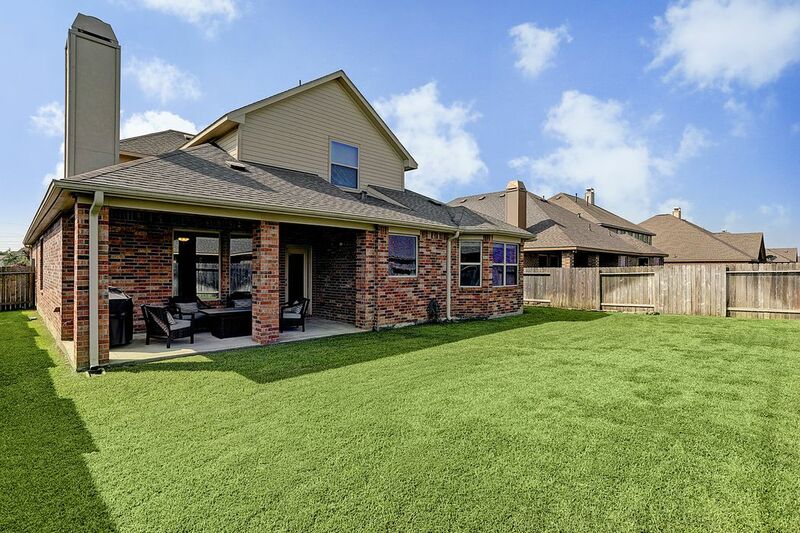 One more look at the great back yard with it's lush lawn and large covered patio area. 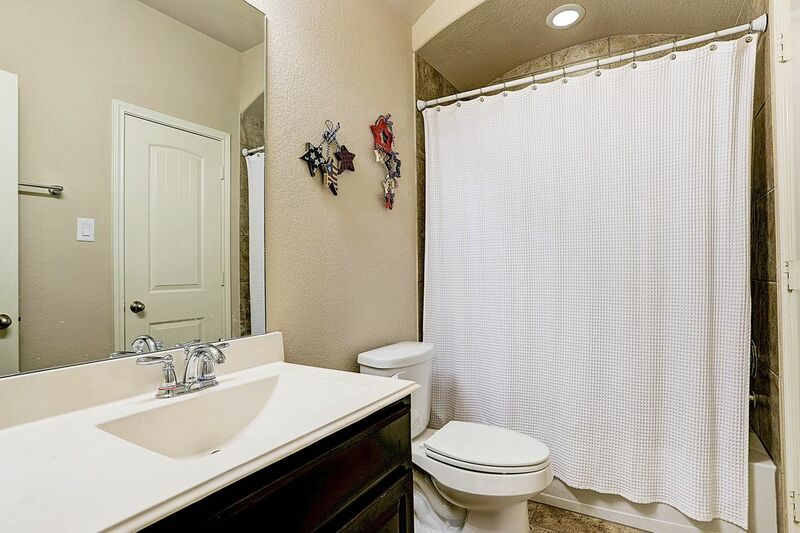 $339,999 4 Bedrooms3 Full / 1 Partial Baths3,142 sq. 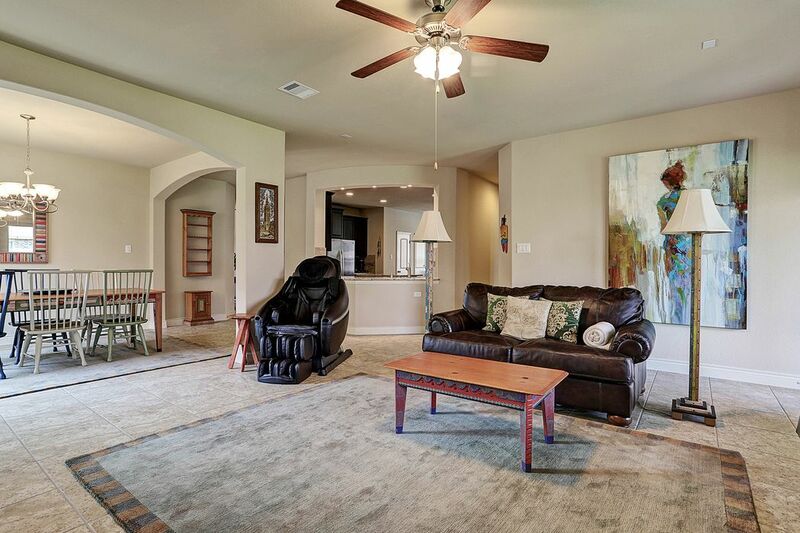 ft.
Beautiful 1.5-story home in Westover Park. 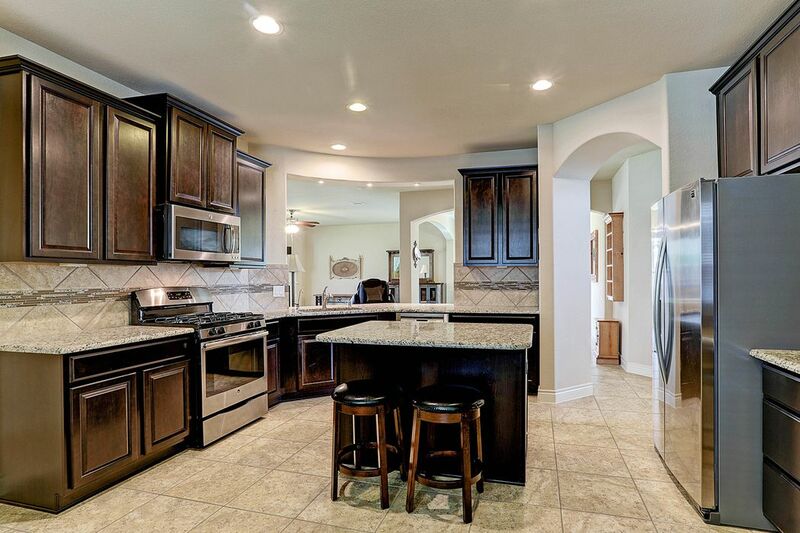 This home offers a very open and spacious floor plan, tile floors and oversize kitchen with granite countertops and stainless steel appliances. 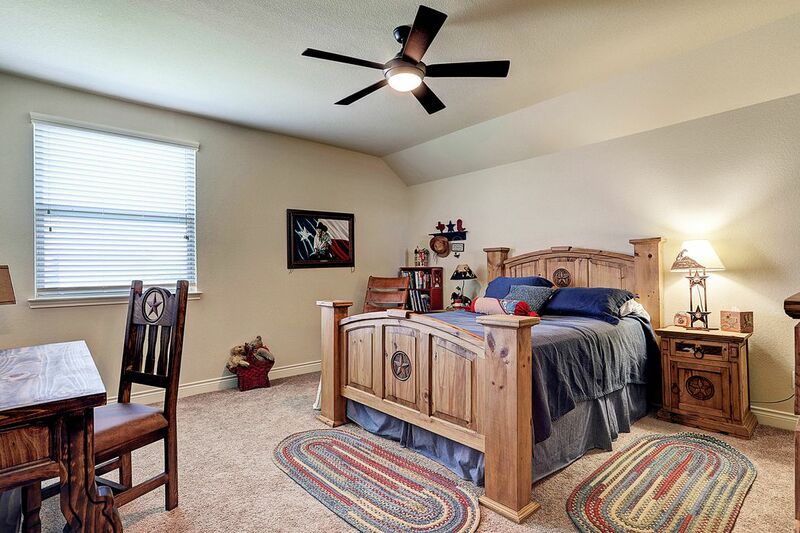 Upstairs is a large bedroom with en suite bath, game room and media room. 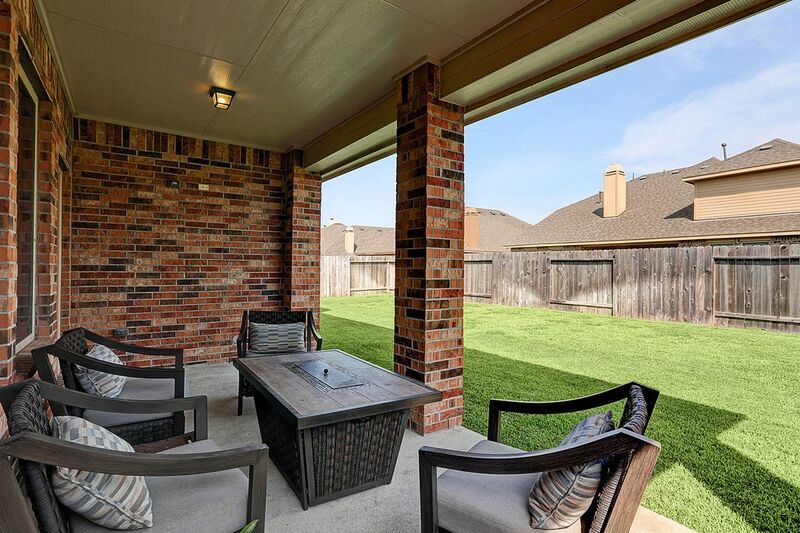 The backyard has a covered porch great for entertaining and grilling. Refrigerator, washer, dryer and gas grill included, all purchased in 2015.